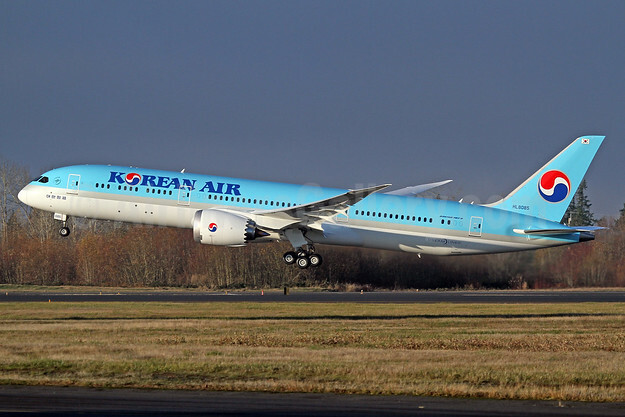 Korean Air is launching new nonstop service between Boston and Seoul on April 12, 2019 in cooperation with joint venture partner, Delta Air Lines. Date and schedule is subject to change (starts April 12, 2019). Top Copyright Photo (all others by Korean Air): Korean Air Boeing 787-9 Dreamliner HL8085 (msn 34814) PAE (Nick Dean). Image: 940284. This entry was posted in Korean Air, Uncategorized and tagged Boeing 787-9 Dreamliner, BOS, Boston, HL8085, Korean Air, msn 34814 on August 7, 2018 by Bruce Drum. Korean Air has announced changes to its flight schedule in time for the 2018 summer season, commencing March 25. The changes include increasing service frequency on key long-haul routes between Korean Air’s hub at Incheon International Airport, Seoul and Europe and America. A significant change in Korean Air’s schedule is the increase in flight frequency to provide passengers flying to North America with a wider range of choice. As of March 25 flights between Incheon and Dallas/Fort Worth, Texas will increase from four times a week to five times a week (Mon/Wed/Thu/Sat/Sun). The Incheon-Toronto flight will increase on March 25 from five times a week to a daily flight and the Incheon-Seattle/Tacoma flight will also have the same increase to daily flights as from May 1. 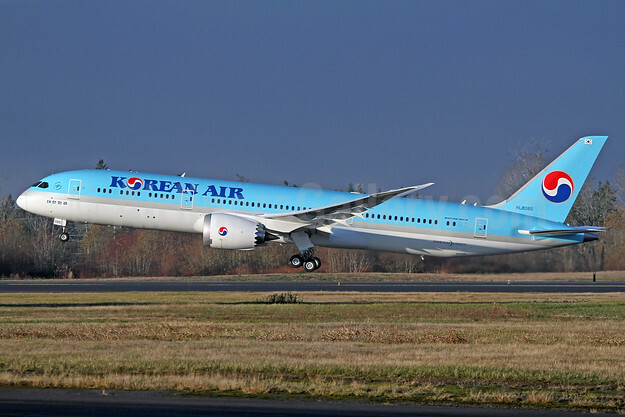 In addition, Korean Air will boost the frequency of some European routes; the Incheon-Rome service will go daily and the Incheon-Prague flight will increase to four times a week (Mon/Wed/Fri/Sat). The Incheon to Madrid service will be operated four days a week (Tue/Thu/Sat/Sun) and the flights between Incheon and Istanbul will also be increased to four times a week (Mon/Wed/Fri/Sun). Meanwhile, from April 19 Korean Air will resume operating its direct flight to St. Petersburg and from April 23 to Irkutsk. These Russian routes do not operate in the winter season due to low demand. Korean Air will deploy recently introduced aircraft, such as Boeing 787-9 Dreamliner and Boeing 747-8 Intercontinental, on the main American and European long-haul routes, where the demand is expected to grow during the summer vacation season. The official summer schedule for 2018 will run from March 25 until October 27. Copyright Photo: Korean Air Boeing 787-9 Dreamliner HL8085 (msn 34814) PAE (Nick Dean). Image: 940285. This entry was posted in Korean Air and tagged Boeing 787-9 Dreamliner, HL8085, Korean Air, msn 34814 on March 25, 2018 by Bruce Drum.